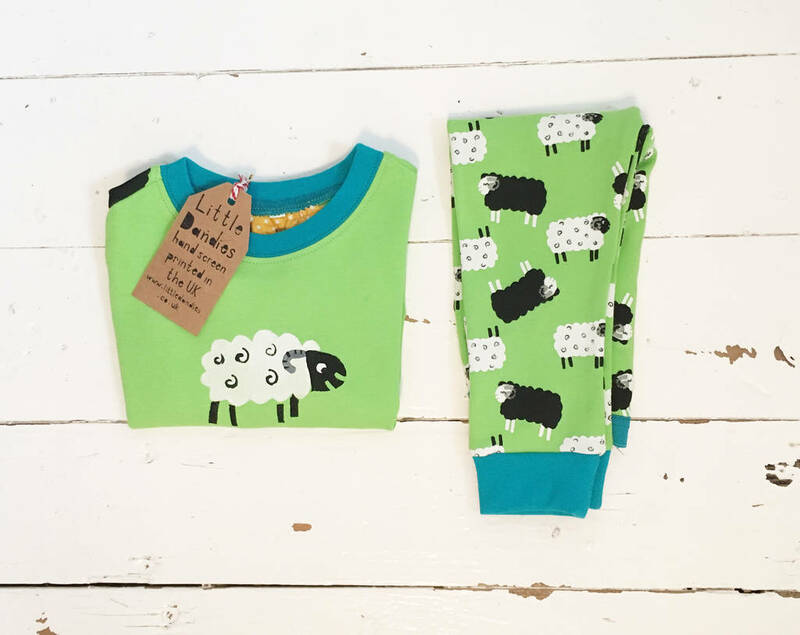 Children's Unisex Sheep Easter Pyjamas. Handprinted, fun and brightly coloured children's funky pyjamas in green. 'Little Dandies' childrens Lion pyjamas are a really fun and unique birthday present. We have a wide range of animal print babygrows and cushions in funky bright colours as well as personalised options, please see sellers 'complete range' on the right. Because all little Dandies pyjama tops are handprinted by us, there will be some discrepancies between them. This could include slight colour variation or placement of image. We feel this is part of their quirky uniqueness! We try our best to make our colours as accurate as possible, but our website images are intended only as a guide.